Business View Magazine interviews representatives from New London, CT, as part of our focus on best practices of municipal governments. New London, Connecticut is a seaport city located at the mouth of the Thames River in New London County. It is bounded on the west and north by the town of Waterford, on the east by the Thames River and Groton, and on the south by Long Island Sound. 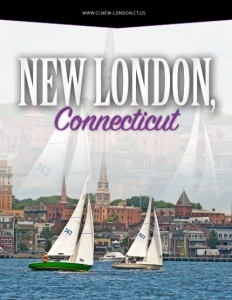 In terms of land area, New London is one of the smallest cities in Connecticut – of the whole 10.76 square miles, nearly half is water; only 5.54 square miles is land. Once the domain of the Pequot Indians, the first English settlement in the area was founded by John Winthrop, Jr. in 1646. During the American Revolution, New London became a base of American naval operations, as its harbor was considered to be the best deep water harbor on Long Island Sound. Beginning in the 19th century, New London was one of the world’s busiest whaling ports, along with Nantucket and New Bedford, Massachusetts. The city subsequently became home to other shipping and manufacturing industries, as well as the home of the United States Coast Guard Academy. Today, New London is a city of approximately 27,000 that offers a unique range of cultural, historical, recreational, and educational amenities that make the city a great place to live and work. The City contains a variety of commercial areas combined with a collection of intimate residential neighborhoods and a lively downtown. A revitalized waterfront features the new Thames Heritage Maritime Park and Water Taxi; a new kind of state park without boundaries. The Park is a collection of almost 20 national and historic sites along the shores of the Thames River, linked by a water taxi, that tell the stories that shaped our nation over the past 400 years. 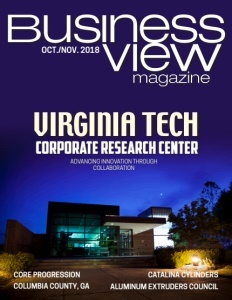 Recently, Business View Magazine sent a series of questions to three of the city’s administrative officers – Community Development Coordinator, Tom Bombria; City Planner, Sybil Tetteh; and Grants Manager, Elizabeth Nocera – to find out about current projects and initiatives under their purview. Afterwards, a follow-up call was made to solicit additional information on those topics. The following edited transcript is a combination of their written responses, as well as their subsequent comments about those agenda items. BVM: In the area of sustainability, can you report on some of the city’s notable initiatives and projects? Tetteh: “New London is participating in the Sustainable Connecticut Program to inspire the community to support, sustain, and restore the natural resources that are integral to the health and resilience of the City. A Sustainability Commission, staffed by the City Planner, meets monthly to establish goals and attain measurable objectives towards a sustainable New London. In the first year of the program, New London has successfully submitted an application for the bronze certification with over 300 points out of a necessary 200 after completing actions in each of the eight categories. Most of those credits are derived from our local economic initiatives, health and housing diversity, dynamic and resilient planning, efficient physical infrastructure and operations, sufficient and inclusive public services, our land and natural resource stewardship, and our initiatives with transportation. “The city recently took the initiative of changing all of our street light bulbs to LED (Light Emitting Diode). In 2016, Public Works administered the conversion of 2200 HPS (High Pressure Sodium) “Cobra Head” style streetlights, and 388 Decorative streetlights, to LED fixtures. This initiative has resulted in an estimated $175,000 annual savings in cost of electricity. “The recent redesign and construction of two municipal parking lots featured innovative design and functioning elements which included center islands serving as ‘rain gardens,’ or storm-water collection basins. Also included was the use of “Silva cells” (sub-grade plastic cages) to provide a healthy growing environment for newly planted trees. A key component of the project is introducing traffic calming and pedestrian safety elements to the area. The City has two electrical vehicle charging stations and more are planned for the near future. BVM: Can you report on any major infrastructure projects? Bombria: “The New London State Pier covers nearly 30 acres and has two piers with direct rail and deep-water access. Approximately 100 miles south of Boston and 130 miles northeast of New York City, it is located next to major highways serving the Northeast. State Pier is located near the major shipyards maintained by Electric Boat and the U.S. Naval Submarine Base in Groton. “The State of Connecticut recently developed the Connecticut Port Authority to run the State Pier. And, this past May, Governor Malloy announced a $15 million investment at State Pier to be used for infrastructure improvements and to help ready the pier for future use by the burgeoning offshore wind industry. State officials have said the pier could accommodate assembly of wind turbines and their bases while providing the space for staging the extremely large components for delivery to off-shore locations. The funding will provide for the demolition of selected structures, site improvements, stormwater treatment and drainage improvements, upgrades to increase laydown capabilities, construction of a heavy lift pad, improvements to load-bearing capacity, and replacement of mooring dolphins. “Recently, the state decided to award a contract for the development of offshore wind power to a company called Deepwater Wind, which committed an additional $15 million to the State Pier area for the development of this new industry. Deepwater Wind officials say workers could assemble the wind farm’s substation and perform secondary steel fabrication, such as welding ladders and rails, in New London. Components shipped into New London for assembly or fabrication could end up in wind farms in federal waters off other states. Tetteh: “The City of New London is preparing a new Complete Streets policy for adoption with the goal of ensuring that all public rights of way are designed and operated to provide what must be safe, accessible, connected means of transportation for all users including pedestrians, bicyclists, transit riders, motor vehicle drivers, emergency vehicle operators, and commercial vehicle operators. This new policy will ensure that all ongoing maintenance projects such as resurfacing, repaving, restriping, rehabilitation, or other types of changes to the transportation system account for the needs of all modes of transportation and all users of the road network. The policy will also ensure that all rights of way including sidewalks, buffer areas, parking lanes, travel lanes, bicycle lanes, street furniture, lighting, and landscaping that complements and enhances the surrounding land use and neighborhood character. The City, in partnership with the Pedestrian Advisory Committee is working to push this initiative. BVM: How does the City work to foster growth and change within the community? Bombria: “A Community Development Block Grant (CDBG) was awarded to the City of New London on an entitlement basis from the U.S. Department of Housing and Urban Development (HUD). The principal objective of the CDBG program is the development of healthy communities by providing decent housing and a suitable living environment and expanding economic opportunities, principally for persons of low and moderate income. While the CDBG program is primarily intended for housing and public improvements, Congress passed legislation so that communities could provide funding for public service agencies and non-profits that support health and safety issues, job training, underserved youth, senior populations, the homeless, and for other economic development initiatives. The budget funds Neighborhood Enhancement which includes a Neighborhood Coordinator and the Blight Inspector position. Sustainable initiatives are supported through funding to F.R.E.S.H. Community Gardens and several maintenance and renovation projects. “The City has successfully managed CDBG and Lead-Based Paint Hazard Reduction programs for many years. Maintaining the housing stock and significant community education programs have increased the number of children protected from lead poisoning and increased the number of housing units where health and safety hazards are mitigated throughout the city. “The City has established working relationships with Energize Connecticut partners such as Eversource, CT Green Bank, and the Department of Energy funded Weatherization Program, for energy conservation measures to offset housing rehabilitation and lead program funds, thereby extending the dollars and allowing more to be accomplished in eligible resident’s homes. Once completed, these properties become eligible for weatherization work performed by the state-funded Community Renewal Team (CRT) to help people to reduce their home energy costs. CRT’s certified auditors visit homes to perform a Home Energy Assessment to determine energy saving measures for installation by pre-approved contractors. Typical services include: sealing air leaks and drafts, installing energy-saving light bulbs, and installing water-saving measures. The weatherization work may also include installation of insulation in attics and sidewalls, boiler/furnace replacement or repair, water heater assessment, as well as window repair or replacements and other services. 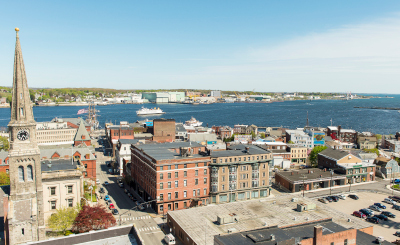 “Abandoned and underutilized properties abound in and around downtown New London. Reuse and redevelopment is challenged by the existence of environmental contamination. Because most of the City’s buildings were built prior to the 1940’s, materials used in the construction of these buildings are now considered hazardous materials and present special remediation and disposal problems. The City Brownfields program has been active in securing EPA and CT DECD Brownfields funding to assess and remediate brownfield sites since 2000. The importance of brownfield reuse and the recognition of the full range of economic benefits to the municipality, and to the region, have been identified as an important strategy in recently approved planning reports. The 2017 New London Plan of Conservation & Development (POCD) recognizes brownfields remediation as a priority for New London’s economic growth, which will help create new and diverse employment opportunities, increase the city’s tax base, and improve the quality of life throughout the city. To this end, an objective of the POCD’s Strategic Plan stresses the importance of continuing ‘concerted efforts to clean up contaminated brownfield sites prioritizing those adjacent to inland and coastal water resources.’ Additionally, the 2017 Comprehensive Economic Development Strategy for Southeastern Connecticut (CEDS) prepared by the Southeastern Connecticut Enterprise Region (seCTer) identifies ‘the redevelopment of existing infrastructure and resources, including, but not limited to brownfields and historic places’ as a significant standard and criteria to support and encourage the Principles of Smart Growth as defined by CT Public Act 09-230. BVM: How does the City work to attract new businesses? Tetteh: “One of the projects that we’re looking at is called the Thames River Innovation Place (TRIP). The purpose of TRIP is to build prosperity in the Thames River region through authentic innovation, collaboration, and diverse partnerships. TRIP is an unprecedented alliance of public, private, and non-profit sectors in the communities of New London and Groton in Southeastern Connecticut. Major institutions are collaborating to design a blueprint for the future of our communities that integrates existing plans and projects with new ideas that leverage and enhance all that is unique about this place at the mouth of the Thames River. “Currently, there is a task force between the city of New London, the City of Groton, the Town of Groton, and some businesses within the communities to push the agenda. We have an RFP out for a place-making master plan for Hodges Square, which connects a bridge to Groton, which is on the other side of the river, to strengthen the sense of place within those two districts through economic development and creating a space that is true to the character of both districts. Thames River Innovation is supported by CTNext, a public private partnership that fosters an agile, open, and networked entrepreneurship community that helps Connecticut’s most promising startup and growing small businesses find the necessary resources to experience accelerated growth. “The Ignite Program helps entrepreneurs solve their start-up challenges while making great connections. The Ignite Program, whose partners include BioCT Innovation Commons and Spark Makerspace, is a program established under the Thames River Innovation Place, and is made possible with support from CTNext. Ignite is designed to spur new ideas, businesses, and innovative growth in the Thames River region by producing events, sponsoring education, and connecting entrepreneurs into the business development support system. “The City’s Office of Development and Planning provides business and property owners with a variety of incentives to defer or offset taxes, and also to provide grants and loans for building improvements, such as its Façade Improvement Program, which provides grants up to a maximum of $50,000 per single principal building fronting on a City street located within the downtown City Center District. Bombria: “Electric Boat is the biggest industry in the area and the government just awarded EB several new submarine contracts, so the future is pretty sustainable there. It recently announced the expectation of hiring up to 18,000 new employees over the next ten years; and they already have more employees working there now than they’ve had for 25 or 30 years. BVM: How does New London market itself? Nocera: “The City of New London contracts with a local marketing consulting firm to market the city. The Office of Development and Planning is currently developing a complete “Developer’s Manual” for developers and investors. This manual will be the guide to New London for interested investors, with emphasis on investment from outside the local region. “New London Main Street is a non-profit corporation committed to revitalizing New London’s Historic Waterfront District. The goal of Main Street is to build community through activities and programs that enrich the cultural fabric, preserve and enhance historic streetscapes, and support and expand the economic base of the city center. New London Main Street publishes the New London Map & Guide and hosts the city’s only tourism-related website. Check out this handpicked feature on Middlesex County, Ontario – We appreciate your business!